ASUS has announced their all new additions to the Transformer Series – ASUS Transformer Flip Book – a 15.6” innovative laptop with 360-degree rotating touchscreen that flips in an instant for use as a powerful laptop, a responsive tablet, or anything in between; ASUS Transformer T200 – a 2-in-1 ultraportable laptop with 11.6” Tablet; and ASUS Transformer Pad TF103 – a tablet with style, ensuring productivity on the go. “We are ecstatic about introducing the all new additions to the much celebrated Transformer Series to India. India has been one of the key markets for the entire transformer series. In it our constant endeavour to effectively amalgamate our users’ needs with incredible experiences and deliver in the form of revolutionary hybrids, notebooks and tablets. 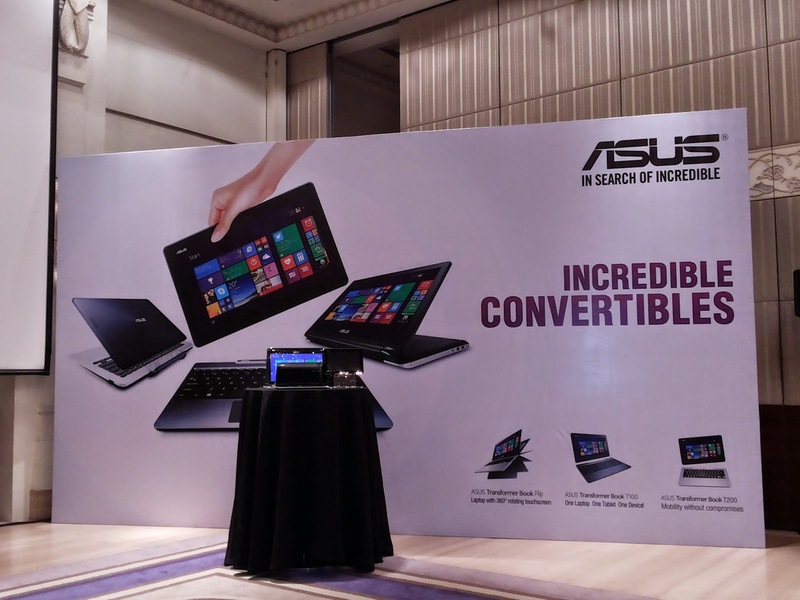 Bringing these avant-garde devices is our step ahead in assisting the Indian masses to discover and have access to the unconceivable yet highly user friendly devices,” affirmed Peter Chang, Regional Head - South Asia & Country Manager – System Business Group - ASUS India. ASUS Transformer Book Flip is a stylish, innovative and affordable 15.6” Windows 8.1 laptop, which features a bright and clear up to Full 1366 x 768 touchscreen with a remarkable hinge design that enables the screen to be set at any angle between zero and 360 degrees. Flip is incredibly versatile, and can be used as a powerful laptop, a responsive tablet, or anything in between. Flip is powered by Intel® Core™ i3 & i5 processors with NVIDIA® GeForce® NV 820M discrete graphics for seamless multitasking and outstanding performance, whether for productivity, entertainment or playing the latest games. ASUS Transformer Book T200 is the beautiful ultraportable that’s also an 11.6-inch Windows tablet. Detach the tablet to work and play anywhere, and dock to enjoy the full-size keyboard, advanced connectivity, and easy-upgrade storage. Style, power and convenience — Transformer Book T200 gives you it all! With up to 10.4 hours of battery life that lasts all day long, you’re free to work or play from dawn to dusk. And ASUS Instant On technology ensures that Transformer Book T200 is always responsive and ready for action! Users will experience outstanding performance from the latest Intel® Z3775 Bay Trail processor. Transformer Book T200 also delivers exceptional graphics performance — with Intel HD graphics that are up to 30% faster than ever before! Transformer Book T200 is equipped with USB 3.0 connectivity for data transfers that never leave you waiting. And makes you enjoy speeds that are up to 10X faster than USB 2.0! With a 16:9 ratio, 1366 x 768-pixel HD resolution and in-plane switching (IPS) technology, you’ll enjoy bright, vivid images from literally any angle — that’s 178 degrees of viewing clarity! The stunning metallic finish adds a touch of sophistication. But Transformer Book T200’s premium design is more than skin deep – the keys offer a full 1.9mm for a superior typing experience! With a built-in 5MP rear and 2MP front cameras Transformer Book T200 is brilliant for keeping in touch via social media, as well as staying on top of coursework! Transformer Book T200 has built-in Miracast® technology that sends your favorite stuff straight to the big screen — wirelessly. Show photos that everyone can see, stream movies in Full HD or even use the tablet as a games controller! The New ASUS Transformer Pad is a 10.1-inch mobile entertainment tablet with a vivid 1280 x 800 IPS display, the latest high-performance Intel Atom dual core processorand a lightweight optional keyboard dock with USB 2.0. ASUS Transformer Pad’s powerful Intel quad-core processor can easily handle multiple tasks and deliver an immersive gaming experience up to 9.5 hours of web surfing and video playback. The ASUS Transformer Pad is powered by Intel Atom Z2560 processor (up to 1.6GHz, dual-core) that delivers impressive performance and battery life to keep you entertained throughout the day. The device features ASUS ZenUI which improves on your smart device experience, giving you a brand new user interface that features over 1000 upgrades and enhancements over the standard Android operating system. ASUS SonicMaster enhances audio and the carefully-engineered dual speakers’ direct sound towards you - the listener - so you experience impeccable sound whether enjoying videos or listening to music! Miracast lets you stream multimedia content from your Transformer Pad to a TV or external display. The new ASUS Transformer Pad gives you stable and faster internet connections thanks to WLAN 802.11 a/b/g/n. It combines a beautiful trendy cover with a vivid 1280 x 800 display, to create a device you’ll want to show off. Its display uses in-plane-switching (IPS) technology to deliver 170-degree viewing angles with accurate color reproduction, no matter how you view at the screen. ASUS Splendid video technology optimises images by enhancing color, brightness, contrast and sharpness so that everything you view looks just great. 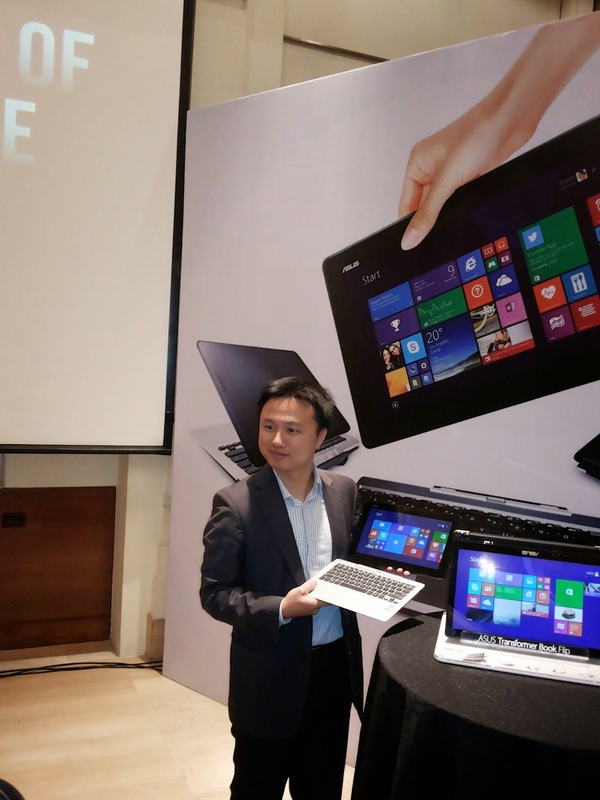 The redesigned ASUS Transformer Pad now weighs 550g and its new design also features a 9.9mm thin for you to carry around easily. The ASUS Transformer Pad has been designed with an exceptionally-responsive, 10-point multi-touch display for an outstanding gaming experience. It comes with 8GB of onboard storage that can be supplemented with up to a 64GB MicroSD card. ASUS Transformer Pad has a 2-megapixel rear-facing camera that lets you take astounding images; as well as a 0.3-megapixel front-facing camera for clear video chats. Each ASUS Transformer Series product includes ASUS WebStorage, giving users free access to the most complete platform for online living. With ASUS cloud services, convenience and intuitive is the main priority, offering users easy storage, sharing, and syncing of everything from business presentations to photo albums and favorite multimedia content. Intel India showcased its computing prowess and leadership at CeBIT India 2014. On the occasion, it unveiled the Intel Sensing Platform, a unique solution combining hardware, mobile applications, analytics and cloud-based technology that enables mobile-based affordable and personal healthcare management application for masses. Designed to meet the unique consumer needs in India and other emerging markets, this platform can be used by the technology eco-system to create applications for different consumer segments. This three-day event had Intel® displaying its latest technology capabilities through its walk -through demo booths on Mobility, Data Center, Internet of Things (IoT) and innovation. Intel India has been actively fueling innovation in India through its strong research & development presence here coupled with its partnerships with the vibrant tech eco-system including government and academia. At CeBIT 2014 delivering a key note address on Building Tomorrow’s Technologies, the president of Intel India illustrated the significance of technology and computing in catalyzing a truly digital world while enriching the lives of people and transforming businesses. Intel is focused on innovating and harnessing the power of technology to create paradigm shifts in the way people, businesses and government agencies connect and interact, with its goal of delivering amazing computing experiences across a host of smart and connected devices. Speaking on the occasion Kumud Srinivasan, President Intel India emphasized on how Intel India’s focus on local and frugal innovations led to the creation of the Intel Sensing Platform and said “Intel Sensing Platform is a key innovation for bringing about critical change through enabling an affordable technology solution that can impact masses positively.” She further added“Technology today has become more immersive, perceptive and social; driving richer user experiences and productivity. At Intel, our endeavour is to use technology to improve the quality of life of people across the world. Echoing the government’s Digital India focus on digital infrastructure, e-governance, utilities, digital literacy and digital empowerment for citizens, Intel India also discussed the growth of the technology landscape in India, focus on innovation & entrepreneurship. The discussion highlighted how technology usage in India is fast catching up and leap-frogging in emerging areas, marked by acceleration in IP creation, digital literacy, emphasis on serving local needs, rising mobile penetration and social entrepreneurship. Fighter Pilot Who Engineered a World Record! The Institution of Engineering and Technology (IET), a leading professional society for engineering and technology communityhosted its prestigious Lord Austin Lecture in the city yesterday at Infosys Limited, Electronics City. 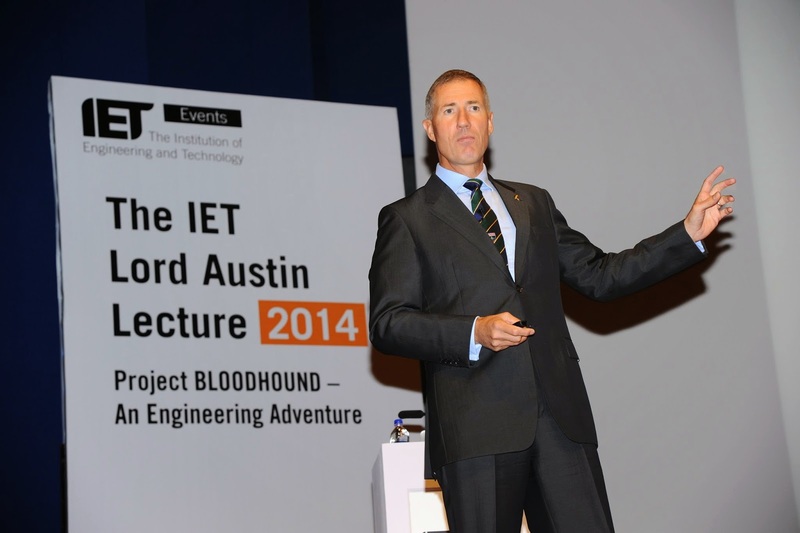 British Fighter Pilot and current world land speed record holder Wg Cdr Andy Green delivered an inspirational and educational lecture on project BLOODHOUND, a supersonic car aiming to set a new world land speed record of 1,000 mph (1,609 kmph). The lecture witnessed a record audience turnout of nearly 1,000 attendees including school children, college students and professionals from various industries. The lecture delved upon The BLOODHOUND Project, an international education initiative focused on setting a new World Land Speed Record. 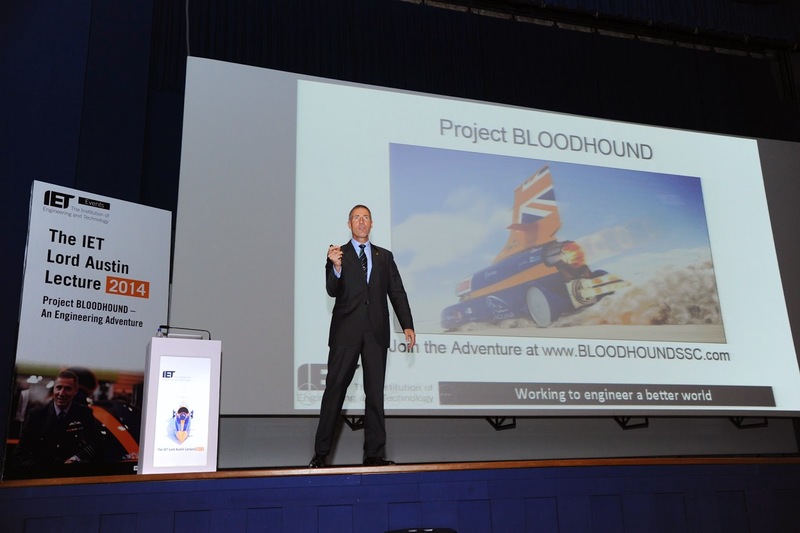 It highlighted the key technical challenges of Project BLOODHOUND and also touched upon the key contributions from India, as well as some major potential benefits to India through the BLOODHOUND education programme. Further, Andy emphasised on the team’s preparation to deploy the BLOODHOUND project to South Africa in autumn 2015 to begin high speed testing with the target of reaching around 1,300 km/h. National Association of Software and Services Companies (NASSCOM) today discussed its plan to work towards Digital India Program. 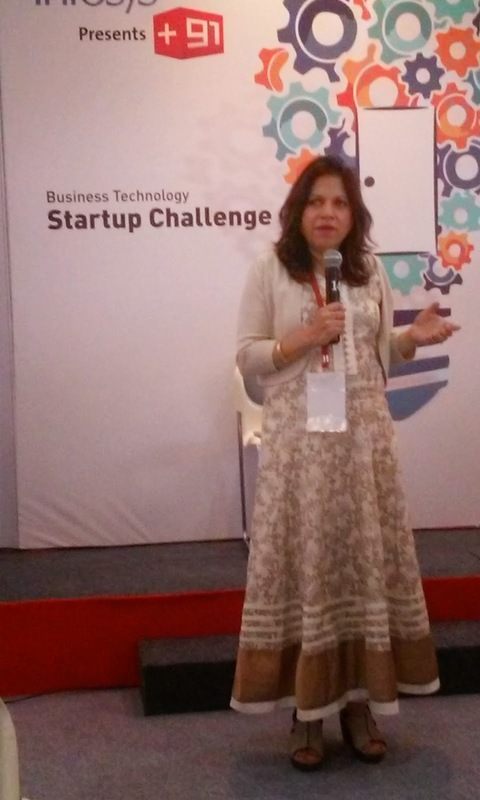 On the side-lines of the ongoing two-day NASSCOM Game Developer Conference, 2014 in Pune, R Chandrashekhar, President, NASSCOM, shared key elements where the industry will work with Government of India to realize the Digital India program. 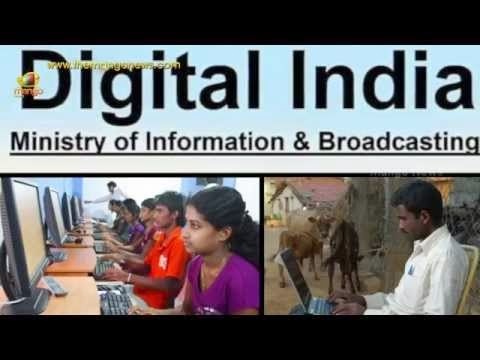 The Digital India program is aimed at connecting all gram panchayats by broadband and Internet, and promote e-governance to transform India into a connected knowledge economy. To begin with, NASSCOM will focus on creating and leveraging IT solutions across sectors like healthcare, education and financial inclusion; and also work on creating framework for the proposed smart cities. With technology solutions at the core of Digital India plan, there is huge opportunity for IT players to use disruptive technologies to redefine paradigms for delivery of services like health, education and financial inclusion. IT will partner with the Government/s to restructure and refocus several existing schemes and implement them in a synchronized fashion. NASSCOM along with its members will be moving ahead with its aim keeping in mind two important stakeholders – Government, the enabler of technology solutions and end-user, the one consuming the solutions. Affordability, accessibility, applicability and awareness-building will be the four focus areas that NASSCOM will be considering while devising any framework. With the expected outcome of not only bridging the digital divide but also empowering the citizens of the country, IT will play an important role in transforming the existing Public Service Delivery system, improve productivity, create jobs and induce economic activity in areas which were not digital connected. JDA Software Group, Inc., and IBM announced an initiative to provide solutions that help organizations deliver engaging customer experiences by intelligently processing and fulfilling product orders in the most efficient and cost effective manner possible. Together IBM and JDA will provide an integrated omni-channel supply chain that enables businesses to make smarter sourcing decisions in real time and give their customers the best buying experience possible. Retailers, wholesalers and manufacturers today are challenged to meet the demands of empowered consumers who demand the right product when they want it at the best price through their channel of choice. As more and more consumers demand advanced delivery methods such as ‘buy online and pick-up in store,’ businesses are under increasing pressure to offer these flexible options across more channels in order to meet their customer’s expectations. Without a dynamic view into their complete supply chain picture, businesses are forced to make snap decisions based on static information resulting in inefficient fulfillment processes, shipping methods and inventory positions. This new initiative between JDA and IBM will provide a holistic approach to solving this problem by synchronizing comprehensive order capture and order management with precision retail planning, efficient labor productivity and intelligent fulfillment. JDA Intelligent Fulfillment and Labor Productivity solutions combined with IBM Commerce and Order Management solutions will reveal the true cost of fulfilling an order – including inventory and labor costs – so that businesses can more responsively adjust inventory and resource allocations and execute decisions that meet and exceed customer expectations while also serving their bottom line. Delivered either on premise or in the cloud via SoftLayer, an IBM company, the solution will be part of IBM’s existing portfolio of over 110 SaaS applications and is expected to be available by late spring 2015. For example, when a customer purchases an outfit online from a clothing retailer, there are several dynamic factors at play that can affect the profitability of the transaction, such as: if the customer wants the outfit delivered to a home or will pick it up in store; if the item is in stock at that store or needs to be fulfilled from an alternate location; or if warehouse or store labor is available to fulfill the order in a timely manner. With the combined solutions from IBM and JDA, these issues will be resolved in the background in real-time by applying knowledge of the retailer’s inventory planning and allocation during the order processing. This allows the retailer to intelligently initiate the best possible omni-channel fulfillment decision at the moment of the sale in the most profitable manner. “By partnering to deliver this joint offering, JDA and IBM are enabling Lowe’s to deliver exceptional omni-channel fulfillment services, which gives our customers more flexible options to shop with us,” said Robin Bornkamp, Lowe’s VP of Inventory & Demand Planning. Karnataka's contribution to Information Technology has witnessed an increase from 33% in 2012-13 to 38% in 2013-14, that shows that this state still holds a clear distiction over the rest of the states in India, said Srivastsa Krishna, IT Secretary, Government of Karnataka. 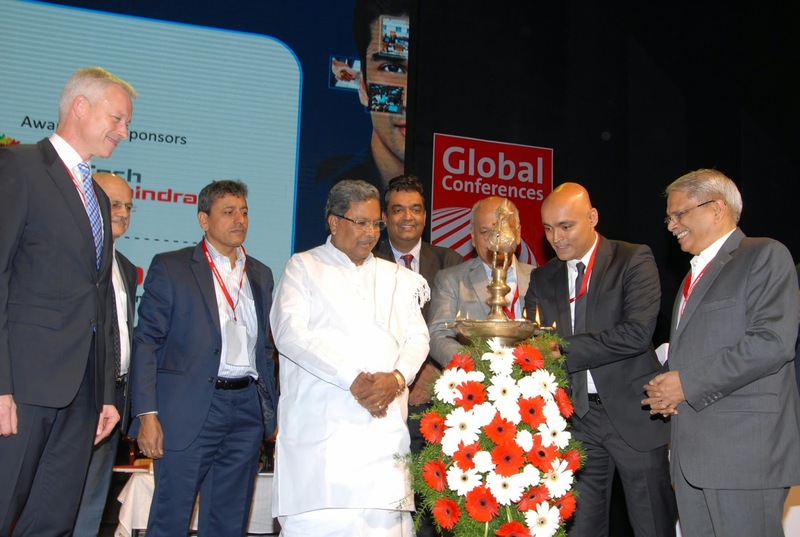 At the inaugural session of Bangalore ITE.Biz 2014, being held in association with Cebit India held at the Bengaluru International Exhibition Center, Krishna said the state accounts to about $45 billion in 2013-14 of the country's $118 billion IT business. In comparison, Andhra Pradesh, Tamil Nadu account for just $15 billion. Likewise Karnataka created jobs of 70,000 compared to 37,600 in Tamil Nadu and 10,000 in Andhra Pradesh. The events was inaugurated by Siddaramaiah, Chief Minister of Karnataka in the presence of Minster S.R.Patil, IT Minister, Government Of Karnataka, R Chandrashekhar, President, NASSCOM , Kris Gopalkrishanan, Chairman, Karnataka State Vision Group on IT, Andreas Gruchow, Member of the Board, Deutsche Messe AG and Mehul Lanvers Shah, Managing Director, Hannover Milano Fairs India Pvt Ltd.
With a focus on New Perspectives in IT Business and Ideas for Digital India, the mega IT Expo will bring together IT majors, innovators, and technologists together on the same platform. The event will showcase innovations from leading IT and ITeS companies like IBM, Vodafone, Daimler, Mercedes, Rittal India and NxtGen. The CeBIT Global Conference programme at CeBIT India will see a riveting symposium of visionaries discussing and debating on leading topics including social media marketing, connected cars, cloud computing for MSMEs, and IT as a key lever for success. CeBIT India 2014 features an exclusive video keynote speech by Dr. Vishal Sikka, CEO, Infosys on Reshaping the World with Software.The show will also host keynote addresses and panels discussions by eminent Indian and Global CEOs and thought leaders including Mark P McDonald, MD and digital business strategy lead in Accenture; Helmut Schutt, CIO of Daimler trucks, buses and vans; Martin Pieters, MD & CEO, Vodafone; Kumud Srinivasan, president Intel India;Norbert Schroeder, technical development head at Volkswagen India; and Manu Saale, Managing Director and CEO of Mercedes-Benz Research & Development India Pvt. Ltd. (MBRDI). The joint event will be an amalgamation of the best of both the brands and this partnership will cover all the components of the event such as the prestigious STPI IT Export Awards Function, CEO Conclave, IT Secretaries meet, Digital India Summit etc. Bangalore ITE.biz has always focused on Start-Ups and this year, it will collaborate with CeBIT INDIA to strengthen CeBIT India’s ‘+91 Initiative’, which will showcase promising Start-Ups from IT, ITeS & Electronics. 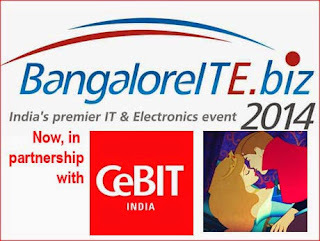 Under the joint partnership of Bangalore ITE.biz and CeBIT India, STPI took the major initiatives of showcasing Start-Ups and MSMEs from across India. This year too, STPI will showcase 125 Member Companies from across India and Karnataka in the Exhibition. Government of Karnataka also held a Rural IT Quiz on 11th of November as well as Student Internet World across various regions of Karnataka. Andreas Gruchow, Member of the Board, Deutsche Messe AG said, “India is a force to reckon with, in the IT & ITES industry. India is forecast to be the third largest IT market within the Asia/Pacific region by the end of 2016 and will further progress to become the second largest market for IT by the end of 2018. As CeBIT commences in India today, we aim to synergize the Indian and German business landscapes, further strengthening the trade relations between the two countries. 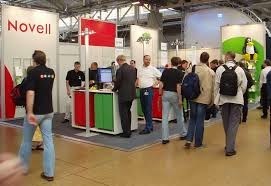 “As India’s maiden CeBIT starts today, we are excited to showcase India’s IT and ICT business to the global audience. We want to take the Indian IT dream run to the next level by encouraging young minds, igniting inspiration, educating the IT community about latest innovations, and creating newer business opportunities for the industry. 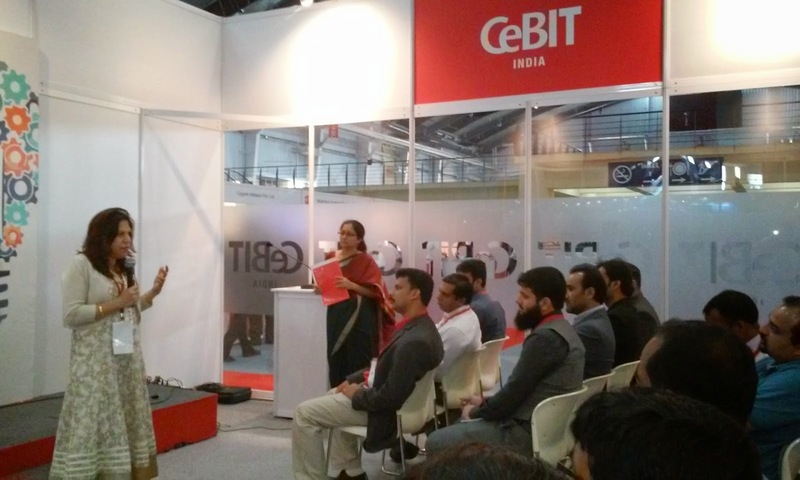 Over the course of three days, CeBIT India will provideexhibitors a unique opportunity to highlight their talent, ideate, and meet with prospective buyers from across the world.” said, Mehul Lanvers Shah, Managing Director, Hannover Milano Fairs India Pvt Ltd.
To bolster the Indian startup ecosystem, the +91 startup challenge is being organized alongside CeBIT India to connect Indian entrepreneurs, global media, consultants, support programs, angel investors, and venture capitalists to help start-ups showcase Indian talent to an international audience. Participants at the +91 challenge will be judged by a distinguished panel consisting of leading CXOs, VIPs, and IT stalwarts. Members of the CeBIT India Executive Club, the panel will critically evaluate the business potential of each entrant to finalize the winning startups. Mercedes-Benz India Ltd. (MBIL) and Mercedes-Benz Research & Development India (MBRDI) jointly showcased at the CeBIT Bangalore the latest products within the Mercedes-Benz passenger car range available in India and presented examples of their captive research, development and IT-engineering activities in India. 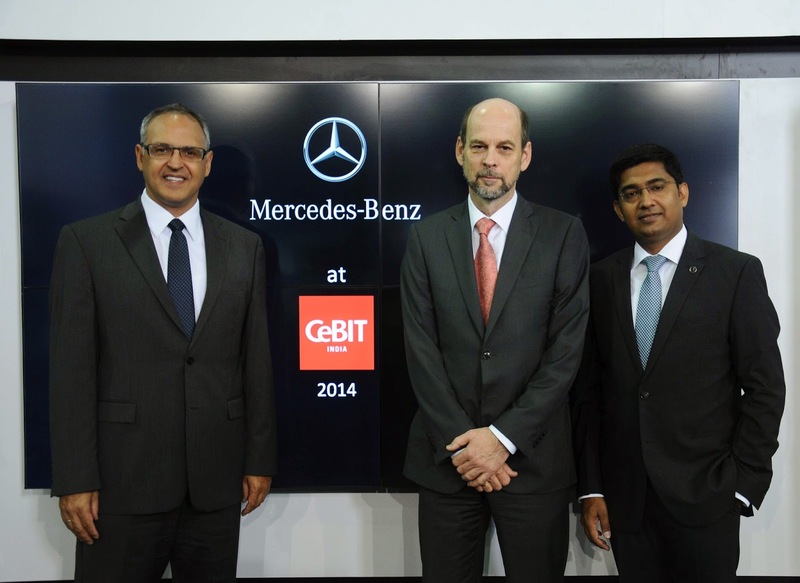 With the growing importance of IT in product development, infotainment- and connectivity applications, CeBIT offers a unique forum to exhibit how much IT has become the backbone of automobile engineering today – and its ever growing importance in the future. 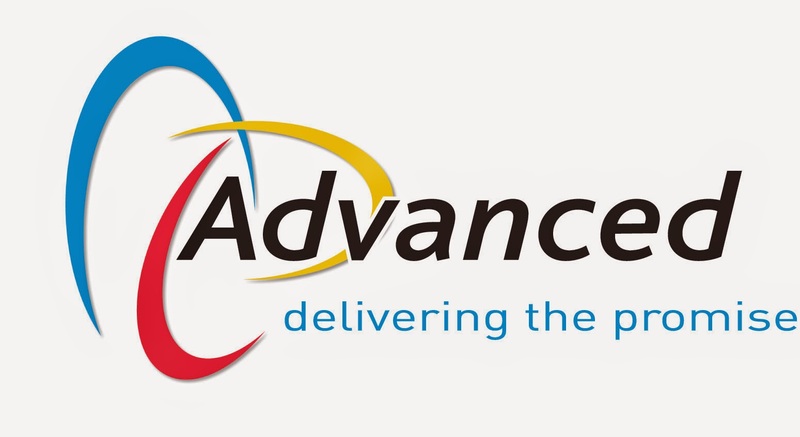 ‘IT is everywhere’ has been a philosophy within the company for quite some time, acknowledging that without the support of state-of-the-art IT solutions, important activities such as product development, order processing, production, simulation, testing, aftersales-service, billing and payment cannot be done successfully. Digital Life has entered all fields of daily social life. 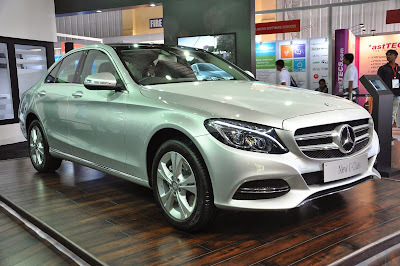 This mega-trend has impact to Mercedes-Benz and its business model, products and competitiveness. Communication with customers and target groups can be done more diversely and effectively than ever before. New business fields with new services can be created in the transportation sector. There are opportunities in all fields of corporate life – and behind all processes operates a clever IT system. “In line with our global IT-strategy, we further develop our IT-department into a worldwide organization with strong international teams, representing a striking variety of skills, know-how and foreign cultures, “ explains Helmut Schütt, CIO Daimler Trucks, Buses and Vans, “for example here in Bangalore we already have a significant footprint in various IT-domains, such as a ‘Shared Service Center‘ for SAP applications, as well as developments for mobility services, computer simulations and augmented reality – and we are further expanding our presence”. 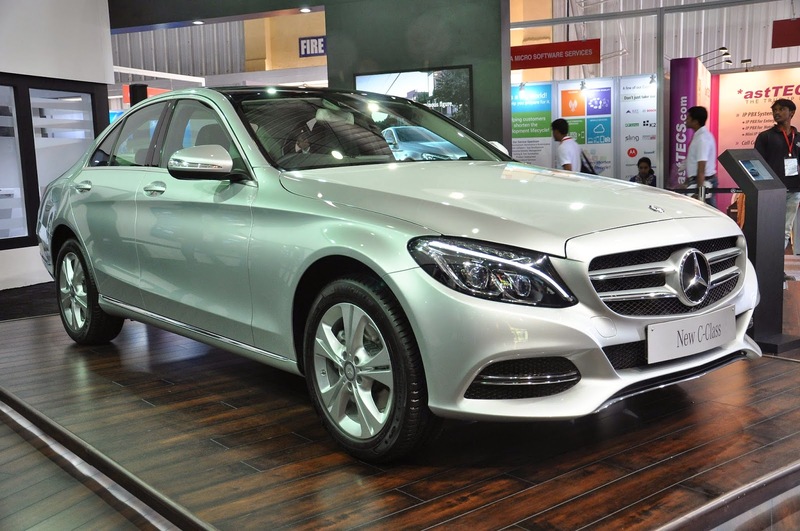 Four entities of Daimler are currently operating in India: Mercedes-Benz India Ltd. (MBIL) in Pune, is responsible for production and sales and marketing of Mercedes-Benz passenger cars; Daimler India Commercial Vehicles operates under the brand name Bharat Benz in Chennai, covering all activities for commercial vehicles; Daimler Financial Services operates under the brand Mercedes-Benz Financial Services for passenger cars and Bharat Benz Financial Services for commercial vehicles; Mercedes-Benz Research and Development India Private Limited (MBRDI) in Bangalore is the largest Daimler Research and Development Center of Daimler outside Germany and contributes to various RD domains and IT engineering. 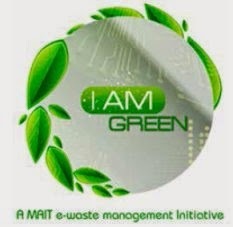 MAIT is undertaking a major drive to educate enterprises, small business, media and general public on the perils of e-waste through an initiative called “IAM GREEN”. 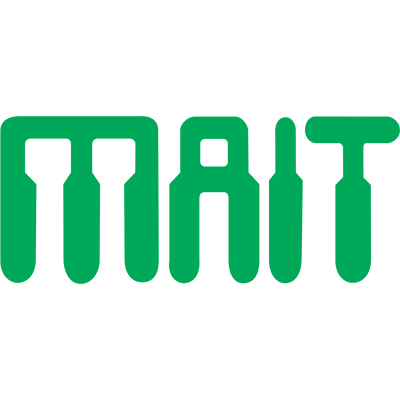 MAIT will also set up an ‘I AM GREEN’ Stall at premier consumer electronics and technology event PLUGGED-IN between 14th and 16th November 2014 at BIEC Bangalore, and invites both organizations and individuals to collect e-waste and dispose it at the stall. Majority of e-waste is getting disposed along with waste collected by civic authorities such as municipalities which results in health hazards for civic workers employed. India produces an estimated 1.5 million tonnes of e-waste every year with an expected CAGR of 25% (compound annual growth rate). Out of 1.5 million tonnes of e-wasteless than 10% per cent is being disposed in a scientific manner. Through the ‘I AM GREEN’ programme MAIT wants to build awareness among citizens. MAIT in partnership with Plugged In is conducting over 15 roadshows in Bangalore as a part of the education drive, where it would connect with students. MAIT is hopeful that the “I AM GREEN” Programme can make a significant contribution to address the environmental challenges in re-manufacturing, repair, maintenance, re-cycling and eco-design having a great potential to promote green entrepreneurship and job creation in future, preventing environmental damage and moving towards a low carbon economy and later transit into a green economy. 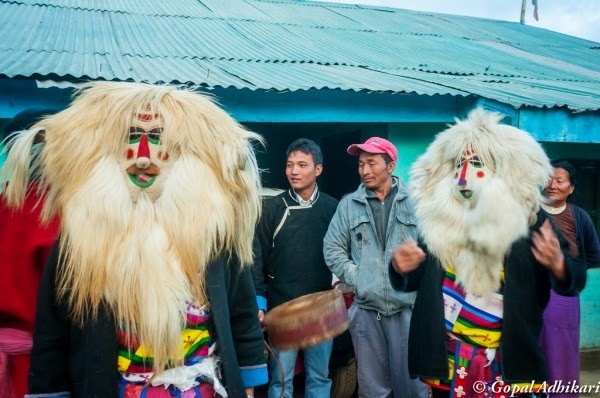 Accenture is developing a mobile government system for the Arunachal Pradesh Department of Information Technology, the system is designed to enhance citizen access to more than 21 government services across 12 categories in eight state departments using mobile platforms and an online portal. Following completion of the mobile government system -- called Arunachal m-Seva -- citizen access to government services ranging from safety and health alerts to employment services and pension benefits will be enabled using these mobile tools. Digital government services help reduce costs-to-serve and improve constituent satisfaction and engagement. The $70,000 contract for the development of the mobile government system has two major components -- first, Accenture has developed the system requirements, which is complete; and now, Accenture will design, test and launch the mobile government system. Arunachal m-Seva will be accessible across multiple technology platforms, including Android, Windows, Nokia and iPhone, as well as marketplaces such as Google Play, Windows Phone Store, iPhone App Store and Nokia Store. Short message service (SMS) technology will be enabled for alerts on safety, health and emergency information. Accenture also has designed and will launch a web-based portal for the eight state departments of Health, Police, Tourism, Disaster Management, Agriculture, Land Management, Social Welfare and Employment. Government officials and citizens will be able to track citizen requests, initiate actions for solutions and view transaction details. A recent 10-country study by Accenture ranked India eighth in its use of digital government services to engage with citizens. 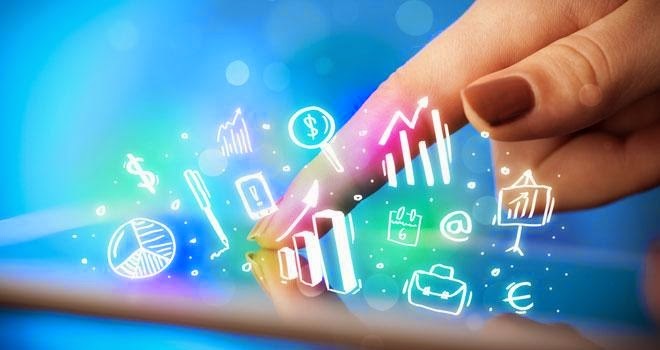 According to the survey, a majority (81 percent) of citizens want their government to provide more services through digital channels, including portals, digital channels and social media. “Mobile government extends the ability of citizens to interact with government and access important services and information to mobile platforms, including smartphones, tablets, personal digital assistants (PDAs) and wireless internet infrastructure. By making these services available on mobile platforms, mobile government helps make public information and government services available anytime, anywhere,” continued Sethuraman. Accenture also is working with the Arunachal Department of IT on the e-District project and with the Arunachal Pradesh Police to implement the state’s Crime and Criminal Tracking Network and System (CCTNS), an integrated system to share information on crimes across India. Novell, a global software leader for enterprises worldwide has announced a strategic technical partnership agreement with GWAVA, a leading provider of compliance, security, archiving and eDiscovery for electronic communication.Within the terms of the agreement, the two companies will collaborate to provide compliance, security, management and disaster recovery across Novell technologies. In addition to Novell GroupWise, GWAVA will also expand its integrated security, compliance and eDiscovery solution to support Novell’s file-sharing, collaboration and mobile management products. Regulatory compliance requirements to secure and archive electronic communication extends beyond just email. GWAVA and Retain Unified Archiving are the only solutions in the market that provide Novell customers multi-platform email, mobile and social messaging security and archiving with complete information governance and eDiscovery. With this expanded agreement GWAVA’s solutions will be integrated with Novell GroupWise, Novell GroupWise WebAccess, Novell GroupWise Mobility Server, Novell Vibe, Novell Messenger, Novell FILR and ZENworks Mobile Management. “Novell customers trust GWAVA to provide security, management, disaster recovery and archiving for their GroupWise environment”, said Ken Muir CEO of GWAVA. 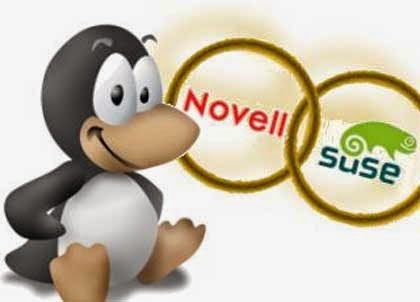 “By expanding our support to other Novell technologies customers will have a single powerful and tightly integrated solution driving lower cost of ownership and greater return on investment across the Novell technologies they trust every day to solve their complex IT problems”.